🙂 You are a bit too easily distracted, methinks! Ha ha! Oh yeah, I am easily distracted. I am not in the narrow target audience of that series, I guess. Zzzzz. 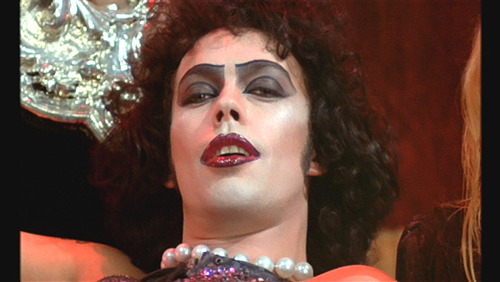 Plus, like I said, I couldn’t stop thinking about Frank-n-Furter and Brad & Janet. That was very distracting! And the balding of Shakespeare kept reminding me of coneheads on Saturday Night Live. I thought he was going to sprout a cone any second. Poor guy. I guess that’s why I couldn’t keep track of the plots going on between Essex and Southampton and creepy Queen Liz. I was definitely distracted! Now that you mention it, though, the series *is* a little bit creepy! 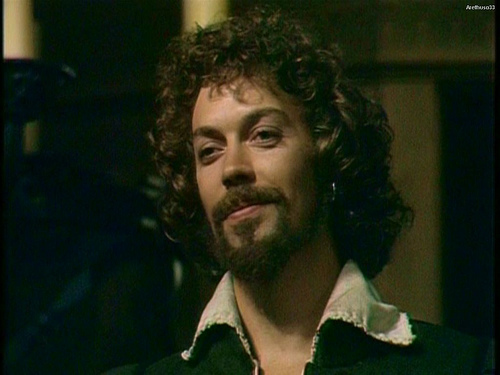 Tim Curry creepy? Are you serious? 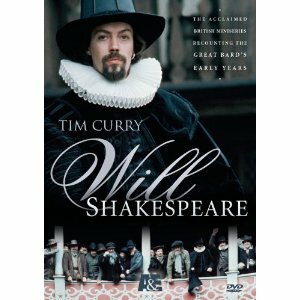 I think he is stunning as Shakespeare. Tim is an accomplished artist on many levels; a veteran of the stage and screen. (And I can’t get enough of his magnificent singing voice!) I think he is wasted on American audiences. He is one of the classiest, most divinely beautiful men I have ever seen. Perhaps you should stick to Harry Potter. You sound rather young.